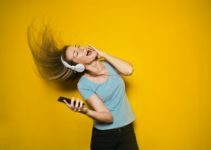 In this guide we are going to take a look at the best noise cancelling earbuds you can buy today. Noise cancellation is a feature that is not suitable for everyone. Some like ambient background noise, and some need it. 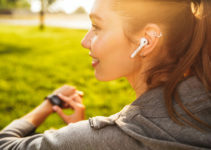 Say for example listening to tunes wandering around the city or running in the country where you need to have some awareness of your surroundings. Working out in the gym, studying or relaxing in loud environments where concentration is required however, are all good occasions where noise cancellation would be to your benefit. So let’s just get stuck right into our top pics! 10 of the best noise cancelling earbuds to help you zone out and just enjoy the music! These earbuds have high-energy neodymium magnet drivers that offer the heaviest bass sound. 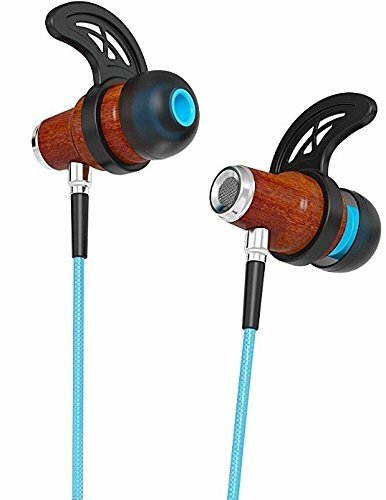 Unlike many other earbuds, these particular ones are water-resistant, so one doesn’t have to worry about a short circuit through activities that cause sweating. 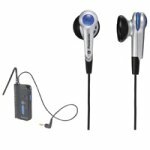 The earbuds also have an in-line mic and remote that can be adjusted without having to use the device itself, such as a smartphone. Thanks to the silicone materials, these buds are able to isolate outside noise very well. Extra small, small, medium and large ear bud attachments are included in the package as well. This product got either four or five-star ratings by customers who were more than happy with them. 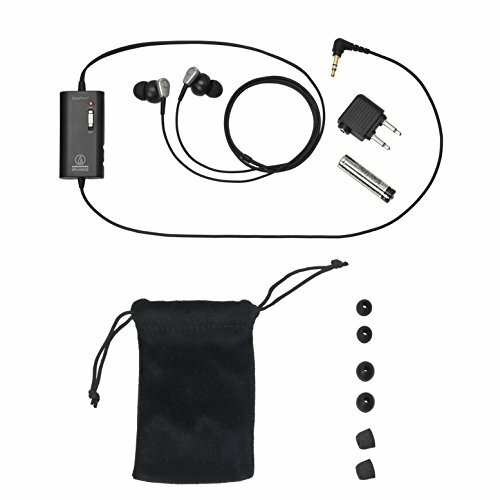 Most of the reviews describe these earbuds as being durable and reliable. One review said that they didn’t have to worry about cord tangling, due to the very thick cord. 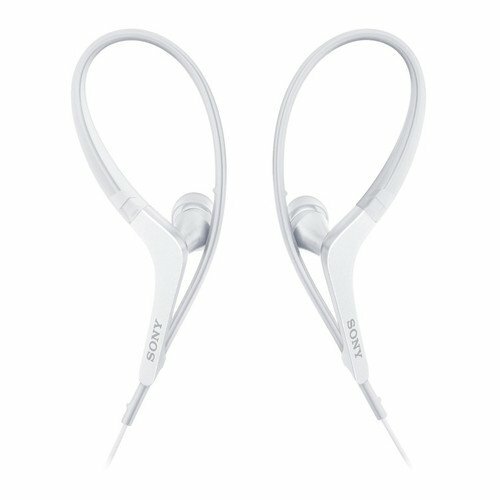 The Sony Premium earbuds have a straight plugin system and are compatible with any iPod. Basically, these buds will work with any 3.5 mm jack. The Audio-Technica set is said to cancel out background noise by 90 percent, specifically engineered to work in high-noise environments, such as construction sites and even concerts. An airline plug adapter is included in the set as well. Although many customers were suspicious of buying the product, they were more than satisfied once they received the ear buds. 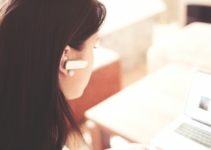 They surely do what they say, as one review said that they “work like a miracle.” Another customer who travels in “planes, high speed trains, commuting trains and buses” said that they could hardly hear any background noise at all. Almost half of all reviews were five star. Interestingly enough, some even claim that these earbuds can be used as earplugs itself. The set will work with any 3.5 mm jack, including the nexus 10. The set also comes with different sized earbud attachments. With these earbuds, one will be able to enjoy a wireless Bluetooth feature, version 2.1 plus EDR to be exact. 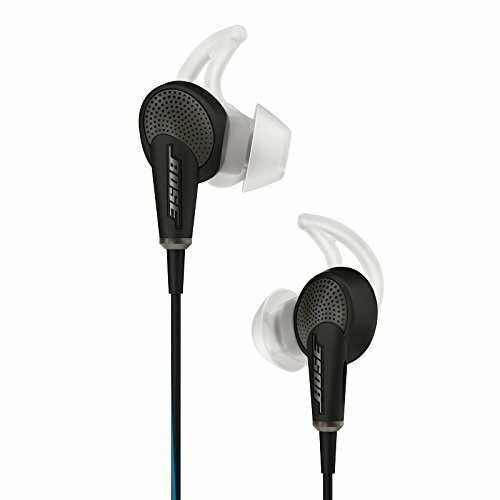 A DC3.7V Li-on battery gives these earbuds around eight hours of battery life on a full charge. One can have a peace of mind knowing that these earbuds come with a one-year warranty. The controller and earphones put together weight out to a total of 33 grams. 11.5 mm drivers and an impendance of 16 ohms are other technical features to be aware of. Anyone would be glad to have these earbuds. Over half of the customers wrote five star reviews praising how well these things really work. One review said that the set is very easy to use and has an exceptional sound quality system. Even a mic for phone calls is included with this device, enabling one to make hands-free phone calls. The earbuds will also block out sound without playing any music at all. Being able to reduce noise up to 88 percent at 200 Hz, these earbuds come with a 9 mm drive that enables full-range sound. The included cord holder allows for a tangle-free experience. Small, medium and large ear attachments are included as well. These earbuds are even able to attach to clothing for a carefree experience. One customer even used these earbuds as hearing protection during power tool use. On the same token, they complained about the set being too bulky and heavy. A few others complained about the earbuds not blocking out sound completely, whereas others experienced the complete opposite. Overall, around 60 percent of the reviews were both four and five star. One interesting aspect noted was that these earbuds were better at cancelling lower frequencies. Unlike a few other earbuds mentioned in this list, these particular ones don’t receive or take phone calls. These exact earbuds are perfectly built for the iPod, iPhone and iPad. However, they will work on just about any other device. Unfortunately,the exact percentage of blocked sound is not mentioned in the product’s feature list. Interestingly, these earbuds are said to block out sound while allowing a person to hear conversions around by pressing a certain button. The reviews for this product say it all. Out of almost 2,000 reviews, 72 percent of the reviews were five star! Almost every single review described this product as being perfect, comfortable and even revolutionary. Even the one-star reviews were somewhat satisfied with the earbud set. These earbuds will connect to most Android phones and devices. They are also said to work in extremely loud environments. They are so comfortable that they can even be used while sleeping, which very few earbuds can do. 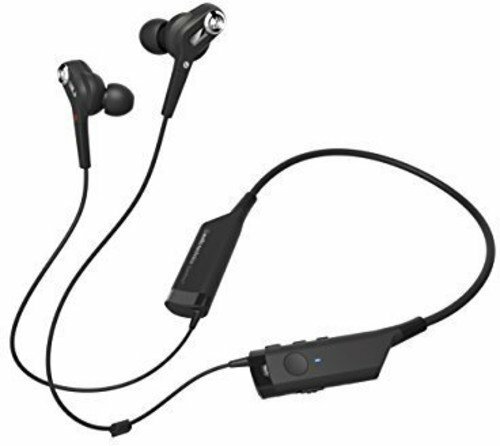 Aside from its external noise-reduction technology, these earbuds come with three pairs of cushion ear gels. Because of the Bluetooth technology with a built-in microphone, one can easily play music, pause music, adjust the volume and change tracks. The battery gives one six hours of play time. It’s compatible with Bluetooth-enabled smartphones, such as the iPhone 6, iPhone 6 Plus, tablets, PC’s and even MP3 players. 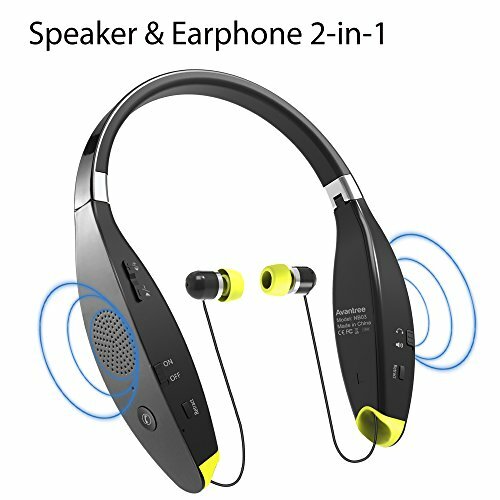 Half of the 708 reviews were five star, praising the great sound quality, comfortable fit, good battery life and compact size. A few realist complaints mentioned the buttons being ‘squishy’ and an annoying blue light flashing while the device was playing. For those who are joggers and runners, these earbuds have a secure enough fit to where they won’t fall off. It can pair with an unlimited number of devices as well. As with most earbuds, the headband is adjustable. 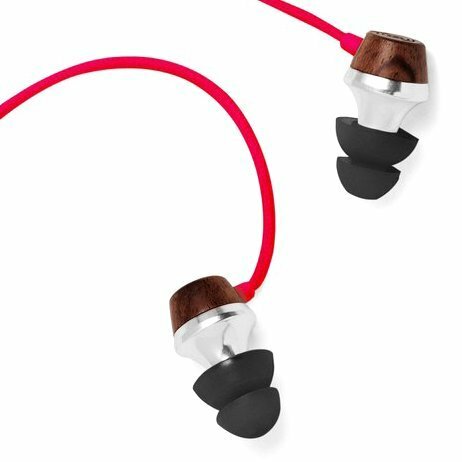 The first notable feature about these earbuds it that they’re partly made from genuine wood, offering an exotic wood-like sound. On top of that, the silicone ear pieces allow for a comfortable fit with a great reduction in outside noise. These work like a charm with iPhones, iPods, iPads, Android devices, MP3 players, CD players and more. Not only does this set come with built-in microphones, but it comes with six extra ear tips as well. About 66 percent of the 200 reviews had five-star ratings. One customer even mentioned something about customization with these ear sets. Other pros include durability, compactness and great sound quality. The only real con mentioned was the cord getting tangled. Because they tend to stay in the ear very well, these are good to use during physical activities such as jogging, running and weight lifting. The cord measures 52 inches from the ear piece to the end of the cord, giving one plenty of room to work with. 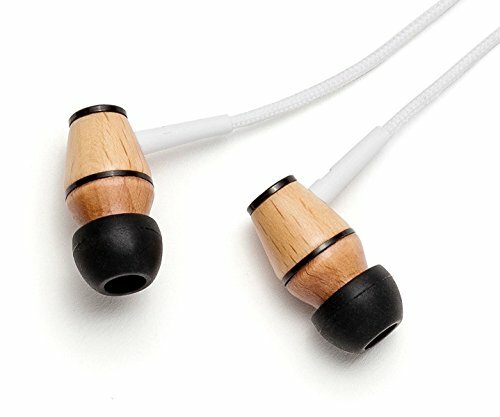 Also made of wood to offer a unique sound quality, these earbuds are a dark cherry wood color. A soft silicone fit allows both comfort and great sound reduction. 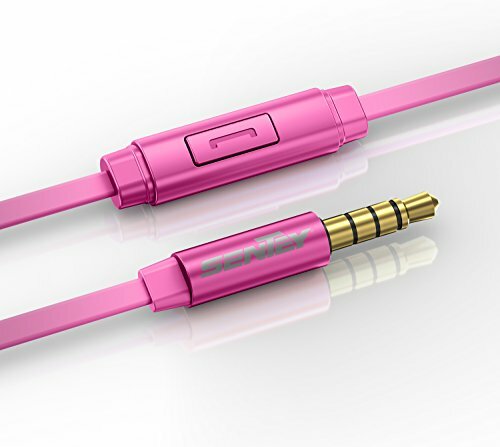 The 3.5 mm jack is made from gold, so it has an exceptional connection. These symphonized earbuds work great with iPhones, iPads, iPods, MP3 players, CD players and more. Out of 255 customer reviews, 68 percent of them rated this product at five stars. Many say that this version is far better than the original one. Just about every single review, including the one-star reviews, agreed that they have exceptional sound quality. Although these earbuds don’t completely cancel out noise, they do a great job at reducing ambient noise, much like conventional earplugs. Because of the wooden material, they tend to amplify any heavy bass notes or sounds. Because these earbuds are made from metal, one can expect a metallic-like sound quality. The protein ear cushion blocks out sound in even the loudest environments. Not only do they have great sound quality, but they’re extremely durable as well. Other cool features of this product are simply to long to mention here. Overall, these earbuds are specifically built for those who are on the go. An astonishing 76 percent of the 1,465 customer reviews were five star. The only ones who weren’t satisfied were those who received ‘lemons,’ or damaged earbuds. While wearing and listening to these earbuds, nobody in the environment besides the listener will be able to hear the sound. They also tend to stay inside the ear very well, due to the protein cushioning. These earbuds are handcrafted from real wood and come with a one-year warranty. The sound quality of these buds is described as being crisp and powerful with a heavy bass sound. Small, medium and large silicone ear tips are included in the set. One can also answer or end calls, use voice control and skip tracks with the built-in microphone. Its tangle-free nylon cord comes in a variety of colors. They work with Androids, tablets, mp3 players and other similar devices. Nearly 75 percent of customer reviews were five star. Many relate the sound quality to being in an actual movie theater. A lot of customer reviews confirmed the tangle-free nylon cord as well. Currently, there are no customer questions or answers for this particular product.